If you're looking forward to news of an expansion to the MotorStorm RC Festival Championships (with new events, challenges, Trophies and more) then you'll be pleased to know that you don't have long to wait!! PlayStation Access UK will bring you news of an all-new expansion pack TOMORROW ...and they're offering some cool give-aways to their lucky fans (so like the page if you're a UK Stormer)! PlayStation fans, you're in for a treat. On Tuesday 13th March, MotorStorm RC will perform a TAKEOVER of the PlayStation Access Facebook page to bring you exclusive videos, prizes and chances to get early (AND FREE) access to unnanounced downloadable content for the game. Plus you'll have opportunity to quiz the masterminds behind the title - Evolution Studios. This is our first ever PlayStation Access TAKEOVER and we want you to help us make it huge. Pop along to the page on Tuesday 13th March to get involved and have a chance at winning some really sweet MotorStorm stuff. You should also hit "Join" on this event to place a reminder in your News Feed. Hit "Invite Friends" to tell your mates. PS> Please note that, due to the TAKEOVER, we will be making more posts than usual and may appear in your News Feed more than once. We'll be asking you for feedback after the event so please be sure to tell us what you think! and "there will be more for those of you who already have it"
Evolution Studios proudly announces the Pro-Am Festival: the heavily anticipated expansion to MotorStorm RC! Expand your MotorStorm RC experience with an all-new Festival set in an impressive skatepark! 16 challenging events, 4 new tracks, 8 new vehicles and 4 PlayStation Trophies to collect... coming to PlayStation Store THIS WEEK (with early access opportunities coming to lucky PlayStation Access fans TODAY)! Who's excited? 29 personer synes godt om dette. PlayStation Access tilføjede 3 nye billeder til sit fotoalbum PlayStation Access: MotorStorm RC TAKEOVER. "What can YOU do like a pro?" 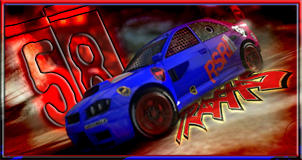 Win a MotorStorm RC Remote Contolled Car! Doh! Tuesday the 13th March has passed by and I hadn't been looking at the forums. HOWEVER .. lovely news about dlc. The details about the skatepark and a photo or two look fab. Can't wait to get to grips with that. Looking at that vid, it's interesting to hear that the idea behind RC came from professional RC racers in the studio - no wonder the handling feels like an actual RC car for most classes. Thanks for those (what must have been exhausting) updates kabber! I don't think I mentioned that there where 3 x 100 free FULL GAME codes to the 100 fastest. But since all got it here I didn't mention it. I kinda felt like a reporter *proud* kinda like my big brother who reports news about phones. It was only be coincidence that I got the hang of this event. I checked facebook cuss a school mate send me a link a movie called "Iron Sky" and there I saw (as I had liked MS:RC's facebook page) that there were news of dlc. And later on I saw that they mentioned competitions so I had to see what that was. :xRolleyes: I followed the event from 9:15am to actually 9:15pm roughly 10 hours -but it was fun and exciting to be a (self proclaimed) Storm Reporter for a Day. And I would do it again.